THE NEW PARIS is claiming it’s mark in Duluth, Minnesota. LoveLocks are showing up along Lake Superior. 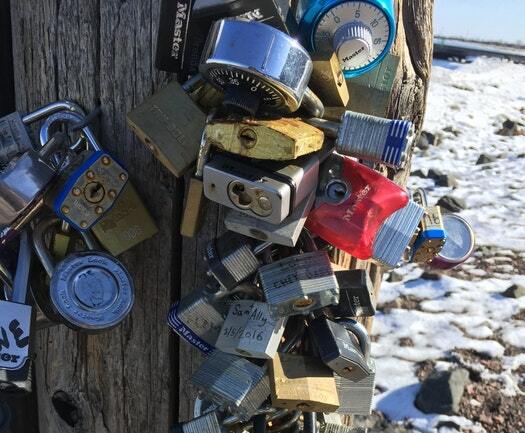 Couples, families and friends have been fastening love padlocks to a piling along Lake Superior in Duluth to show their love with personal messages. Quite the site… City officials are OK with all the LOVE and community connection. An other great city where you can safely and legally attach a LoveLock with your someone special. Fremont Street Experience-LoveLocks-Las VegasUnique Wedding Ceremony Is Just A Wedding Minute Away!